Unscented, but it has an unpleasant pheromone smell. 1 or 2 dabs if applied undiluted. Best mixed with cologne at ratios ranging from 1:3 to 1:5. Spraying is possible at higher dilutions, but it is better to apply a few dabs when it is more concentrated. Dab to neck/jaw line area, spray low concentrations on neck or chest. Apply with WAGG to slightly dull aggressive/aversive reactions. Better suited for slightly more experienced users, or at least people willing to mix and experiment. 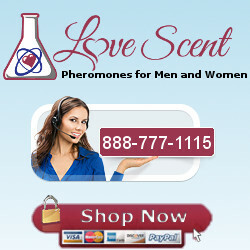 Contains the same pheormones at the same ratios as TE (so expect similar reactions), but is 5 times more concentrated. It’s designed to be added to a cologne, it doesn’t have to be, but it will always be better suited to mixing.